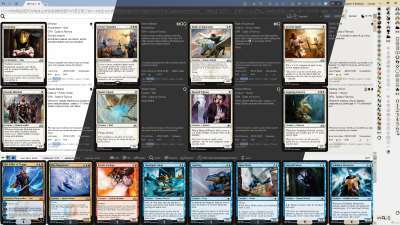 Mtgdb.Gui is a free and opensource Windows application to help Magic the Gathering players build decks. from their own collection. 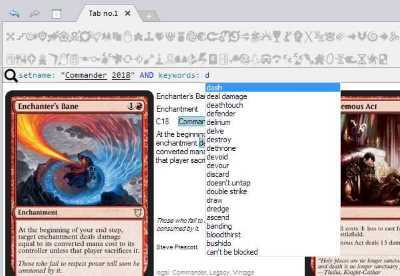 Search for similar cards shows you cards with similar text and / or generated mana. your own diagram. 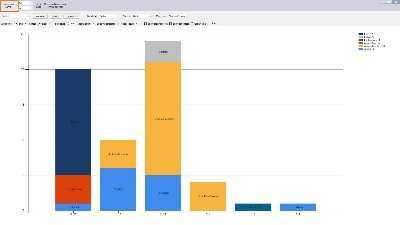 It is conceptually the same as building pivot table or pivot diagram in Excel. 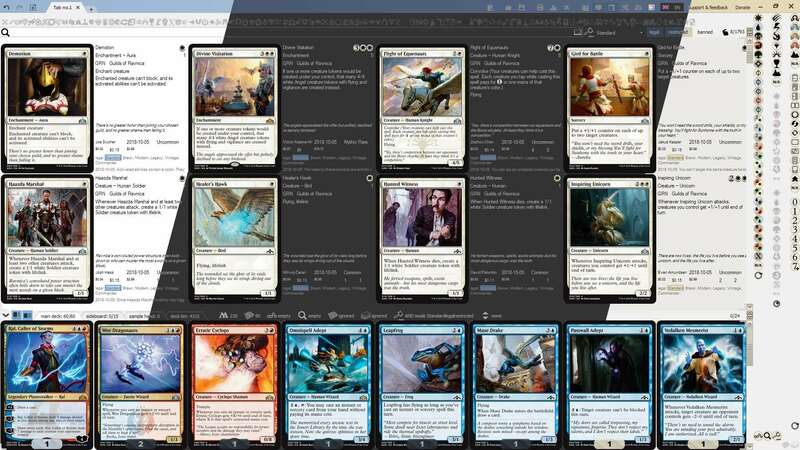 Magic The Gathering Online You can also load and save decks in MTGO-compatible format. deck to instantly import deck from websites and external applications. type, manacost and so on. matches filter. The people who used Magic Duel's online deck builder will understand me. and you cannot quickly undo as the card disappears from search result. 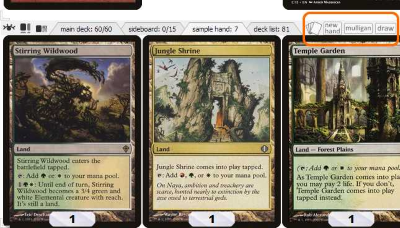 This is not going to happen in Mtgdb.Gui! Last edited by hidalgo on 07 Oct 2018, 03:55, edited 278 times in total. I don't think this app is specific to DotP is it? 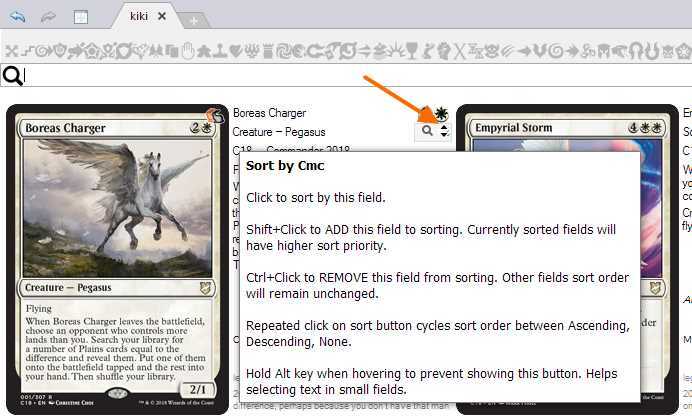 hidalgo wrote: Using the pictures found in this site and data from mtgjson.com I was able to build a nice application which I use to build my decks for Magic Duels online game. Okay I read this and I thought it was only for Magic Duels. My mistake. Renamed fields to use in filter and search: Name -> NameEn, NameLocal -> Name. E.g. now to search by name you type just Name:死灵式渴求 instead of "Name local":"死灵式渴求"
Last edited by hidalgo on 09 Jan 2017, 05:38, edited 1 time in total. -Slow program startup - around 15 seconds in my PC to load all sets. -High memory consumption - multiplied by N where N is the number of opened instances. -File access concurrency for undo/redo history files. Now you can open some tabs, work with them in parallel - no problem. Improved printing - more precise card size, white guidelines between the cards to help cutting. Last edited by hidalgo on 09 Jan 2017, 05:38, edited 2 times in total. 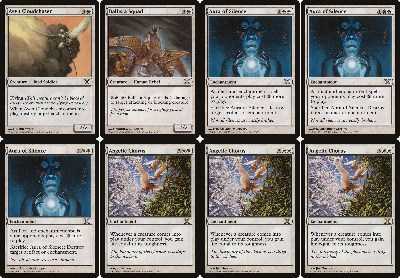 Deck reordering - as suggested by aidscoi168 here deck reordering is now possible. Implemented via drag-n-drop. Last edited by hidalgo on 09 Jan 2017, 05:39, edited 1 time in total. Deck reordering improved - now you can scroll the deck while dragging the card. Now supporting Forge deck format. 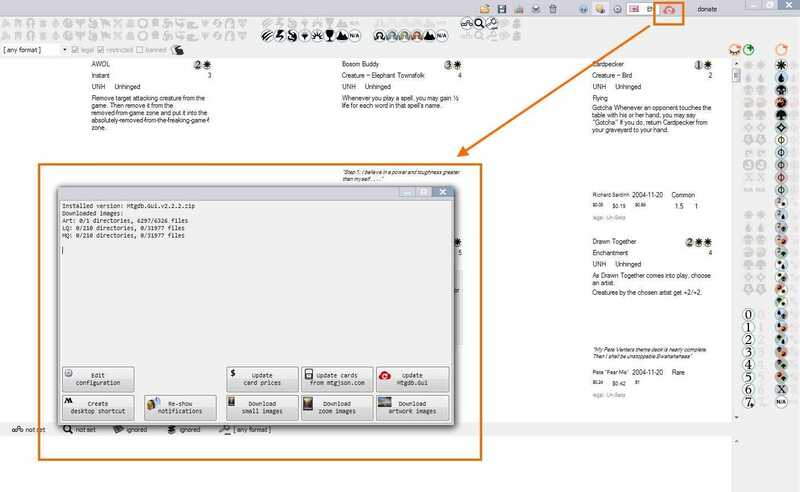 In Forge deck editor load the deck from previously saved file. 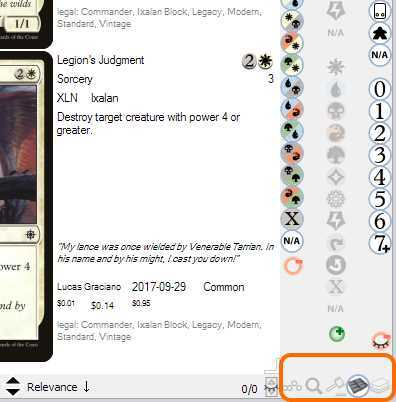 This is somewhat riskier than manually loading the deck from file in Forge and then saving it, because Forge makes some adjustments when saving the imported deck, like assigning particular card image variants to the cards in your deck. Last edited by hidalgo on 21 Jan 2017, 03:12, edited 2 times in total. This is very interesting. I'll have to check it out. Will this program have the ability to use my card images kept separately? To prevent your edit from accidental loss I recommend copying \etc directory to a location higher than Mtgdb.Gui directory in directories tree. 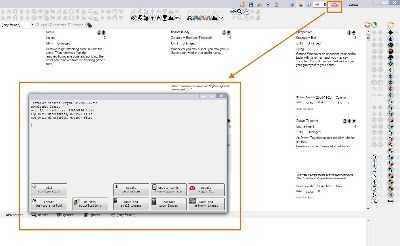 Mtgdb.Gui will find and use the copied config. Note that the entire \etc directory must be copied, not just the config file lying inside. In magarena threre are 3 groups of decks - "Prebuilt", "Player" and "Firemind top decks". As you may have guessed, your deck will be in "Player" group. The startup delay decreased from ~12 seconds to ~4 seconds. Previously the scroll was fast only when scrolling up after scrolled down or vice-versa. Now to get the scroll slowdown you have to scroll fast during several seconds. When scrolling normally the speed is ok from the very beggining. Possibility to replace pictures in Forge by those you use with Mtgdb.Gui. See \ets\Mtgdb.Gui.xml <ForgeIntegration/> tag for instruction. Scroll on zoomed card to see other variants of card image. 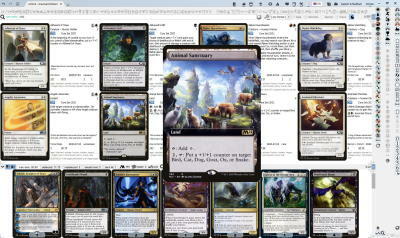 Fixed compatibilty issue when importing some decks from Forge. Fixed some minor usability issues of intellisense in search textbox. Partially showing the word that doesn't fit the last line.